It’s time for the gardening tips for March. We have some great suggestions this month to make anyone a lawn and gardening pro. Your yard needs some much-needed attention during this month. Ensure that you fertilize your lawn now. Many problems are caused by lack of food. A quality 16-4-8 formulation is best if no fungus is present. Fertilization is also important for certain plants. Azaleas and camellias should be fertilized after blooming with a special acid fertilizer. The azaleas should then be pruned to shape. Also, give palms extra manganese, magnesium, and potash for superior green color. Now that winter is over there are some important transitions that should be made. Planting tender annuals and vegetables is a good idea now. Reduce water requirements by adding organic material such as peat, manure, and compost before planting. This stores moisture and nutrients until plants can use them. Mulch will also help. During March it’s vital to spray woody shrubs and trees (especially fruit trees), with good nutritional spray for health and appearance. Remember to keep lawn mower blades sharp! Lawns can be ruined by dull blades or cutting too short. 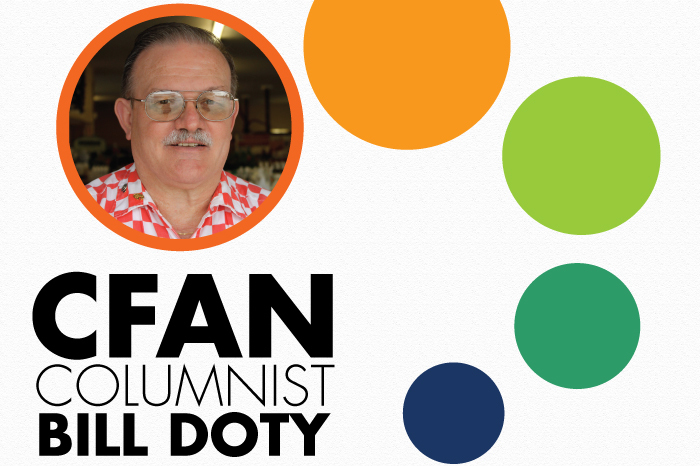 BIO: William R. (Bill) Doty, is the owner of Doty’s Farm and Garden Supply Inc. Founded in 1954, Doty Farm and Garden Supply, Inc. has been there for every one of their loyal customers’ budding needs. Bill Graduated from Winter Haven H.S. and then Florida State University, Bill learned invaluable lessons in listening, asking questions, and reading anything related to the family business and shares his knowledge with his customers daily and our readers each month.